Complete SOAP solution for professional Xojo developers. Parses the description of your webservice as WSDL. Verify WSDL matches between Client and Server. All source code generated for your application is not locked or encrypted. Real Studio 2009 or newer (maybe work with older versions, but not tested). Works with Real Studio and Xojo. 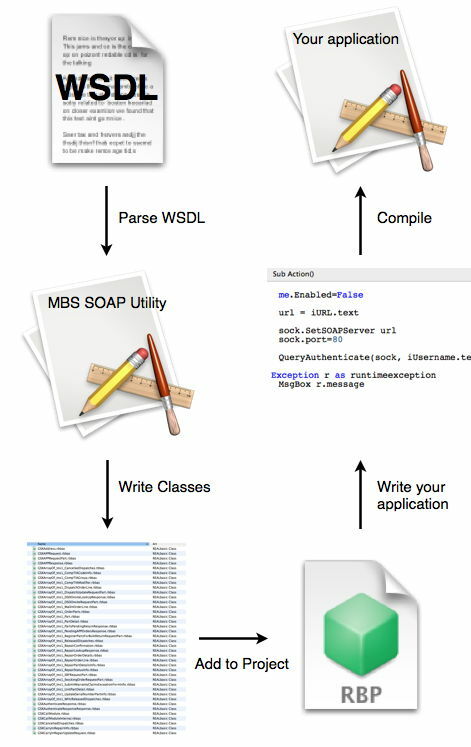 999 € (+VAT if needed) including one day of support to get your WSDL running with our utility. All source code you generate belongs to you, but for our SOAP utility and our shared code, we keep the copyright and license them on to you. We can create a test project for your service if you want to ensure the Kit works with your web service.